Top TV song last week goes to CBS hit NCIS with a captivating cover version of a classic. A slower, poignant start to the iconic song sets the tone for the final montage of the episode. Vietnam Marine Ray Jennings leaves the prison library and meets up with retired Marine Sgt. Thomas Fletcher and reflects on his decisions from long ago. The scene changes to Arlington Cemetery where the late Lieutenant Hall’s wife Claire and Ray embrace and place roses on the Lieutenant’s casket. In the final scene, Agent Gibbs and Timothy McGee sit on a bench together looking over the rows of tombstones, when Gibbs turns to Tim and says, “Your dad would be proud of you.” The song fades on a black and white snapshot of Gibbs and McGee sitting on that bench before the credits roll. ‘Have You Ever Seen the Rain’ covered by Jonathan Clark is slower and softer than the original, making it that much more fitting for an emotional end montage song choice. The Vietnam incident in this episode matched with Jonathan Clark’s rendition makes the audience feel for McGee, as the son of a veteran, and the far-reaching impact of war. This song has been covered by numerous artists including Joan Jett, Rod Stewart, The Ramones, Willie Nelson, among many others. And now Jonathan Clark. A multi-instrumentalist with a soulful sound and melodic songwriting style, Jonathan Clark has been a musician since childhood. Early influences include The Eagles, James Taylor, Cat Stevens, and Peter Gabriel. Clark first discovered music out of a need to be seen and heard, and some sibling rivalry. Jonathan saw his brother Matthew getting attention from playing guitar for the neighborhood girls and asked his parents for a guitar. Before long, Jonathan, age 15, had learned guitar and the bass, rounding out the “family band” with his brothers Matthew on guitar and Daniel on drums. They played casinos, parties, talent shows, and anywhere else they could find a gig. They spent the next five years traveling and playing the Top-40 Pacific Northwest club scene. 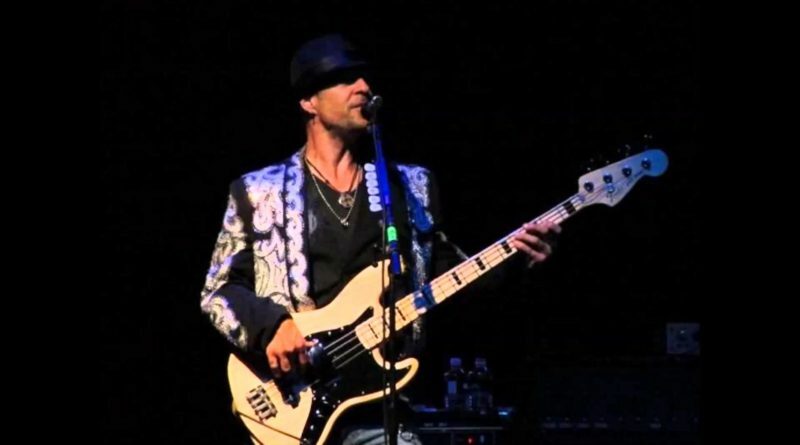 When the family band parted ways, Jonathan began playing bass guitar with cover bands around the L.A. area. His talent and local attention led him into bigger venues, where he began performing with artists such as Glenn Frey, Joe Walsh, Christopher Cross, and sang on the past nine Dwight Yoakam releases. But Jonathan Clark wanted more than being a backup for fellow artists so he began pursuing his own dream of becoming a successful singer/songwriter and released his debut album I’m Just Sayin’ in 2009. He can also be heard on tv and radio advertisements for brands like Coors, Fruit of the Loom, and Coca Cola.